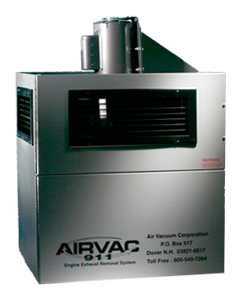 Thank you for your interest in the AIRVAC 911® Engine Exhaust System. We welcome your comments, questions, and sales inquiries to help us better serve you. Our contact address, phone number, fax number and email address are below. Feel free to use the quick submission form to send our sales team a direct communication and we will be in touch with you as soon as possible. For filter orders, please use our Filter Orders page.